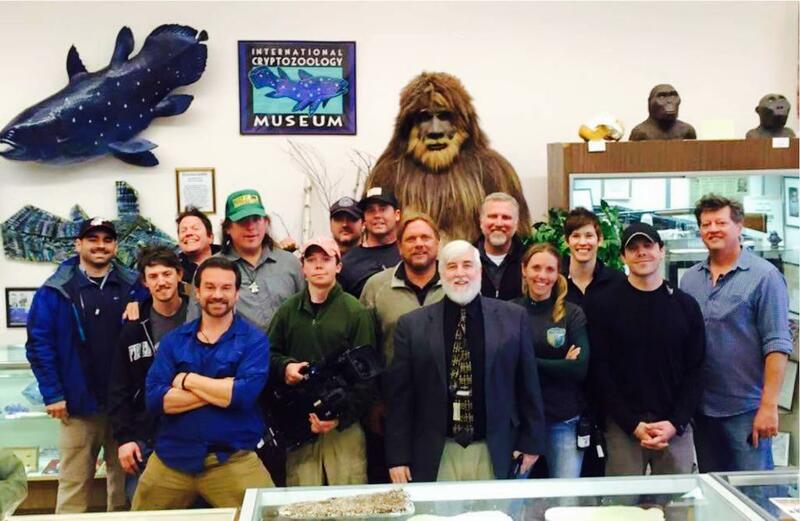 The cast and crew of Finding Bigfoot made several trips to see and film in the International Cryptozoology Museum in April 2015. Here’s a gallery of images we can release. Were We All Stood Up On Finding Bigfoot? How does showing the Sylvanic footage add anything worthwhile to the study of Bigfoot? Images. You’ve heard it all here at Cryptomundo before, but it is spreading like wildfire throughout the Internet. How will this series influence the future of cryptozoology? Some thoughts. 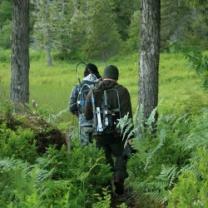 What Did You Think Of Finding Bigfoot: “Fishing for Bigfoot in Oregon”? The series hunters are shown having a freakout in the forest over the proper Sasquatch hunting techniques. Send in your review of the latest in the series, this time about an exclusion into the North Carolina Uhwarrie National forest. Images.